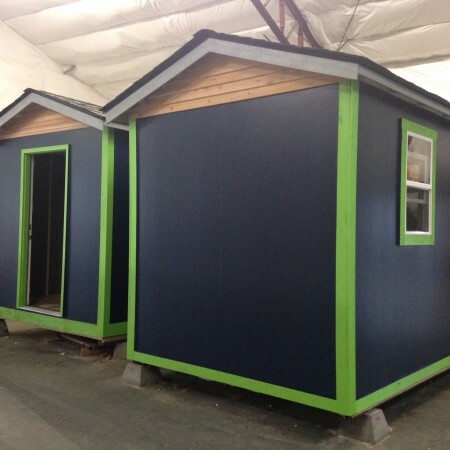 WALSH Seattle builds two homes for homeless families in the Tiny House Village in SE Seattle. Low Income Housing Institute (LIHI), a client that WALSH Seattle has worked with for many years, approached John Gilson to see if WALSH would build two homes for the new Tiny House Village in SE Seattle. The Lutheran Church of the Good Shepherd and LIHI have partnered with Nickelsville to provide 15 tiny homes for homeless families before Christmas, 2015. Nickelsville is a multi-site homeless encampment consisting of tents and tiny houses throughout Seattle. 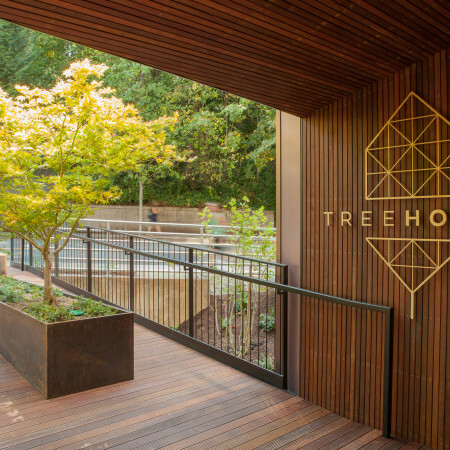 Lever Architecture, as well as three projects (Framework, Tree House and ArtHouse) we have had the pleasure to be partnered on with them, have been highlighted in Gray Magazine: The Design Magazine for the Pacific Northwest. Congratulations to an excellent firm! 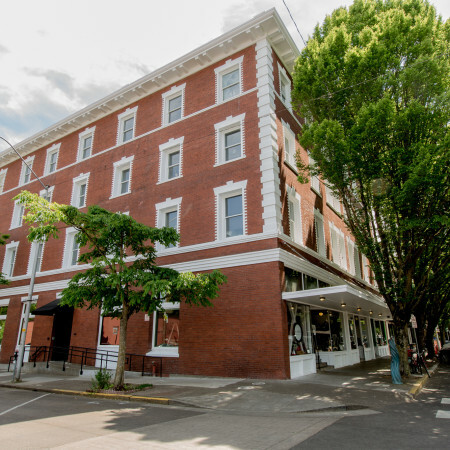 LEVER Architecture is a progressive Portland, Oregon based practice dedicated to realizing transformative projects that strengthen the communities they serve and blur the boundaries between the public and private sphere. LEVER utilizes a research-based approach to leverage clients’ goals and aspirations leading to designs that have been recognized locally and nationally as models for housing, creative office, and retail mixed use. Link to the article which begins on Page 63. 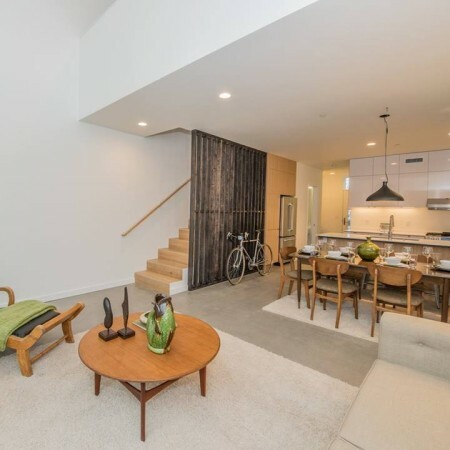 The project^ team is excited to share their newest project Hayashi Townhomes. These homes are a new offering in the vibrant eastside Humboldt neighborhood, seamlessly integrating nature into modern elegant dwellings. Hayashi Townhomes have been built to the highest environmental standards and are slated for Earth Advantage Platinum. WALSH is honored to have been a part of this quality project. Please join the project team for this exciting event! Link to the FaceBook Event Page. Registration forms due October 13, 2015 at 8:00 am PST, to the project contact below. Submittals due November 3, 2015 at 2:00 pm PST, to the project contact below. Link to Addendum #1 dated October 20, 2015. 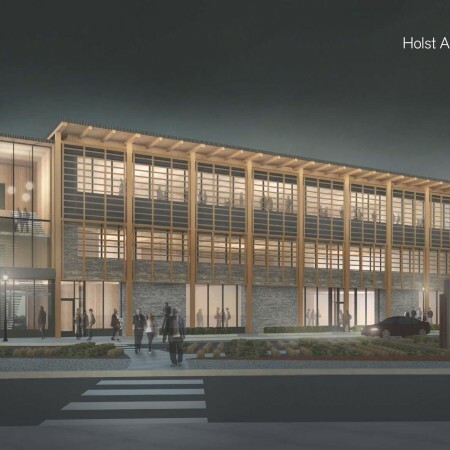 WALSH is excited to be on the team for this cutting-edge, tall timber project. Please visit Framework and “Like” their page to follow the progress of this innovative and sustainable project as it moves forward. 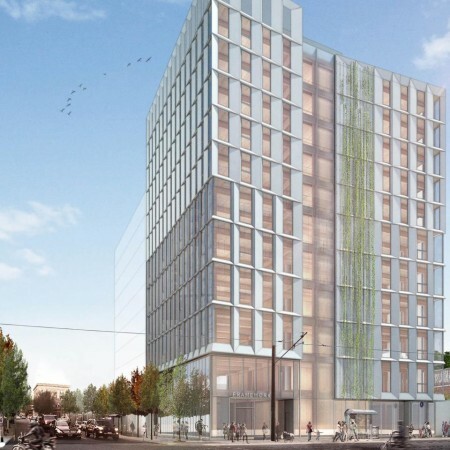 The proposed building will be a 12-story wood framed building constructed primarily with Cross Laminated Timber (CLT) components for the floors and the lateral force resisting system (LFRS), in conjunction with Glue Laminated Beams (GLB) and Glue Laminated Columns (GLC). The super structure will be supported on a conventionally reinforced mat foundation. 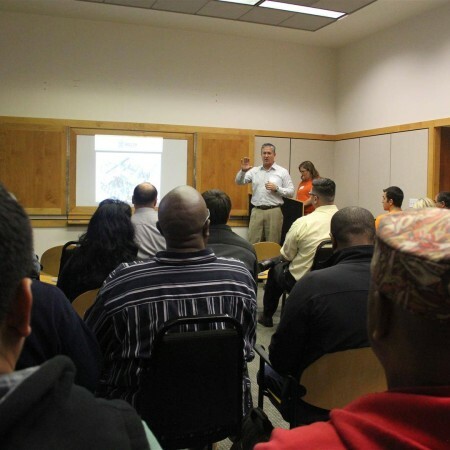 WALSH and OWCB hosted a Minority Subcontractor Outreach Event to provide information and subcontracting opportunities to roughly 45 local MWESB businesses, including Professional Lath & Plaster, Interlaken, Hillebrand Construction, Valley Growers, Art Cortez Construction, Alcantar & Associates and James Faison. O’Neill/Walsh Community Builders (OWCB) is excited to be working on preconstruction with The Asian Health & Service Center which is planning a new three-story, 30,000 SF office building at the northwest corner of Southeast 91st Avenue and Southeast Foster Road. The new building will allow the agency to offer more classes and meet community medical needs and a third-floor, 6,000 SF community room with a large kitchen will be available to community members. 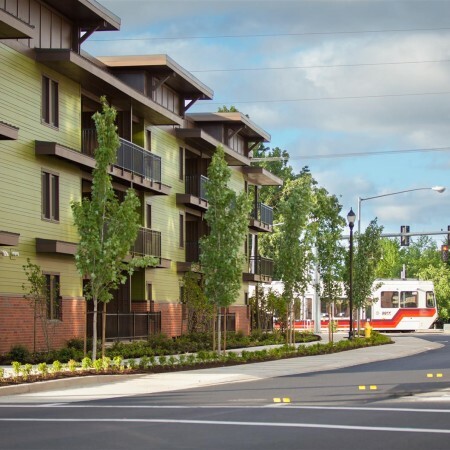 Orchards at Orenco is a highly efficient, transit-oriented workforce housing project in the Orenco Station neighborhood of Hillsboro for owner/developer REACH CDC. The 57-unit project, designed by Ankrom Moisan Architects, is the first phase of the Orchards at Orenco development, which over the course of three phases will total approximately 150 units. 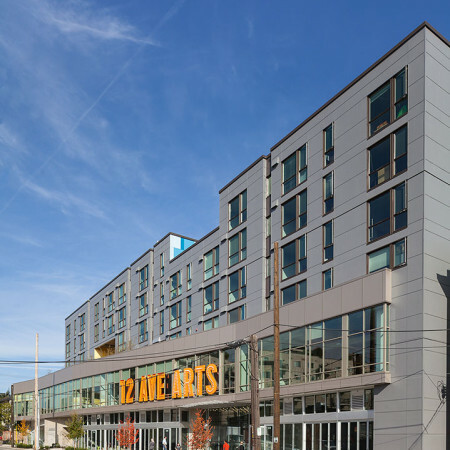 Orchards was awarded Best Affordable Passive Building and also awarded Best Overall Passive Building Project by PHIUS, announced September 10 in Chicago at the 10th Annual North American Passive House Conference.